The mystique of riding a Grand Tour pushes the boundaries of our imagination. 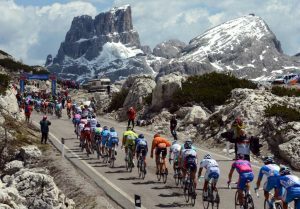 In the Giro d’Italia, riders perform at their optimum over a three week period, tackling stages of more than 200 kilometres, extreme weather conditions and incredible terrain. The peloton is unified in a whirlwind of physical and mental propositions, pushing their bodies beyond predisposed limits; experiencing the lows of crashes and unexplained indispositions, through to the highs of stage wins and overall GC elevations. It’s a three-week enigma that captures our imagination (who would have thought this great race originated in 1909 by La Gazzetta dello Sport, to help increase sales of their newspaper!). So how does one prepare to tackle this great Italian bike race? 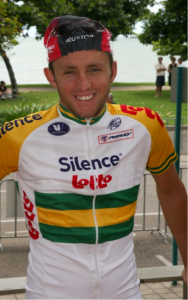 Matthew Lloyd was a professional Australian road cyclist from 2007 to 2014. He wears the badge of Australian National Road Champion thanks to his victory at Buninyong in 2008, where he bridged a gap and then dropped the breakaway. He’s also a Grand Tour rider, having ridden nine Tours throughout his career, including four Giro d’Italia tours. 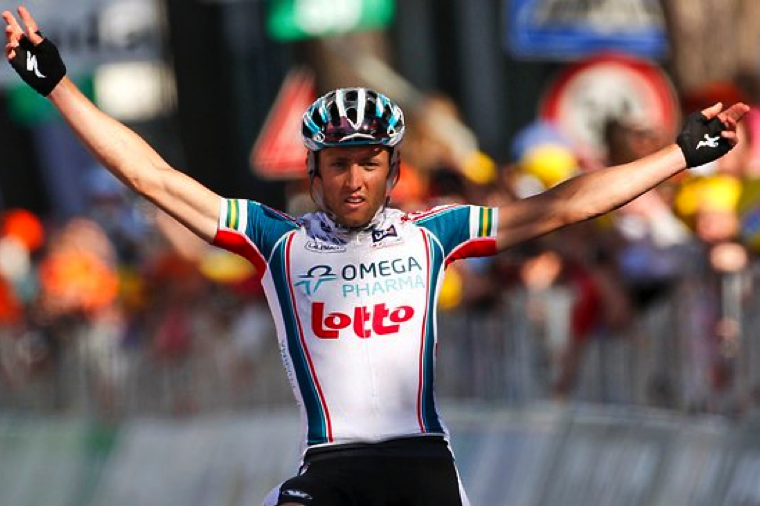 A race where he not only won stage six of the 2010 tour, but holds the title of King of the Mountains in that very same year. Matthew’s experiences and perceptions of riding the Giro gave me goosebumps (you can listen to the full interview in the podcast link above). Here’s a deep dive into Matt’s lens on training and preparation for this great Italian race. The build up to the 2010 Giro was quite unique. Matt carried a knee injury a couple of months prior, but like most professional athletes, identified mechanisms to still race and train. 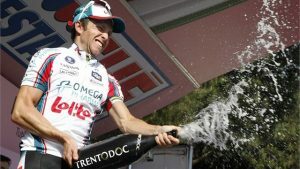 For example, at the Tour of the Basque Country, roughly two months before the Giro, Matt rode in the drops throughout the entire six-day race to mitigate severe tendinitis in the knee. Luckily, he came out of that race clear of further knee damage, enabling him to pull together a solid training block in preparation for the 2010 Giro. It was this continuity of training – which can often be rare in a pro cycling world full of nasty crashes, injuries and illness – that saw Matt’s training piece together just “perfectly”. The 2010 race was Matt’s third Giro so he had intimate knowledge of the race at hand and was in tune with the required training and recovery regimes. To that end, Matt simulated strength and endurance efforts specifically required for the Giro. So much so that at times, Matt “over stimulated” the muscles during training sessions to achieve desired outcomes. A typical training session would consist of eight sets of four-minute efforts as well as six sets of twenty-minute efforts. Matt would alternate between these training sessions and four to six-hour endurance rides on opposing days. In addition to this, Matt was integrating motor pacing at the end of sessions to keep the explosive muscle fibers awake. The strength and endurance efforts were at a 35-40 cadence level on a 10% gradient climb. “It’s the equivalent of completing a gym set”, says Matt. “At the end of these efforts I would also build in some high rev activity, i.e. end a twenty-minute effort with three times ten second sprints. 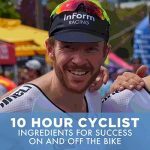 I was putting the body into turbo after an exhaustive effort, simulating what I was going to be exposed to on race day, ultimately pushing myself beyond what I was used to, on a more frequent level, day in and day out”, Matt explains. Ultimately, he was taking on this level of training load a “bit by chance”, but with enough caution that the body wouldn’t crumble. With such excessive training loads, pushing the human body to extreme limits, it almost becomes a question of survival. Just like the actual race, the training is grueling. Day after day, week after week it’s a relentless battering on the body. So the questions remains: how do you get through it? In a Grand Tour, the competitive juices are flowing. There are opportunities to win, crowds are inspiring and the media coverage is scintillating. But how do you manage the training load and keep motivation high during the long preparation phase? Riding the Giro in 2010 as the King of the Mountain in some fairly cold conditions! Matt rode his first Giro at the age of 23. Prior to this, his longest stage race as a professional was one week. Learning to manage his body through the contrast was certainly a learning curve but one he managed to absorb. “I had a very raw approach to it, but it was a three-week race. It’s what you go through (in order to be a professional cyclist)”. It’s the old footy cliché, “we look at things stage by stage. The body pushes itself to new levels. It was definitely pretty rigorous. Just dealing with the pain and pressing-on mentally is key”. Interestingly, Matt describes the following week after the Giro: “the body keeps wanting to move because you fall into such a rhythm. Coming down from the intensity becomes a new consideration and approach, as the general effects can last ten or so days.” Kind of like getting off a treadmill after running full gas, but feeling a heightened level of fatigue throughout the body! During Stage 6 of the 2010 Giro d’Italia Matt and fellow rider Rubens Bertogliati rode off the front twenty kilometres into a 210-kilometre stage. When they broke off from the peloton, Matt turned to Rubens and said, “look mate, we’ve got more than 180 kilometres to go, we need to work together.” There was an agreement and the pair continued to roll at solid intensity, which Matt had confidence in maintaining for the remaining hours ahead, thanks to the solid block of training he’d just completed. A puncture from Rubens almost undid the pair during their dual breakaway attempt, but Matt decided to wait, knowing he would still require Rubens to hold off the peloton. A smart move. 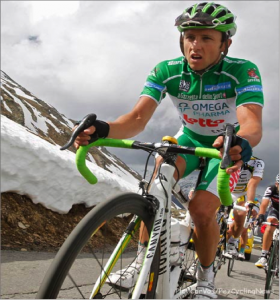 In addition to the stage win, the foundations enabled Matt and his team to obtain the green King of the Mountain jersey that year. An unbelievable feat! Matt celebrating after a breathtaking stage win! According to Matt, the peloton’s love for the Giro is driven by simple things. “The food in Italy is incredible, so that tends to be a big highlight. The general vibe of the race is more a festival-like atmosphere in contrast to the Tour (de France), which is an extreme sense of media and sensationalism.” Thus, the Giro remains a favourite with most riders. The integral parts are just as intense as the other Tours, but the general sense around the peloton is more relaxed. And with a list of previous winners including some of the greatest cyclists of all time, such as Eddy Merckx, Fausto Coppi, Giovanni Valetti, Miguel Indurain, Marco Pantani, Alberto Contador and Vincenzo Nibali, the Giro’s blend of ingredients makes for some tantalizing viewing.